Do you know the Thai for Borax and where might one buy it? I will take a look at the shredded corn cob thread. Re the white pest, my eyes are not so great, but they seem to like zinnia, toms and marigold in that order. Maybe I will try to get a photo and enlarge it. 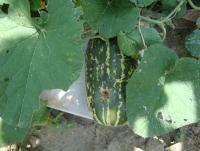 I enjoy the garden, but I'm not very knowledgeable, so I'm sure I make many mistakes. I just find it fascinating that seeds can grow into so many different things, using the same basic ingredients. Small bird, genus Orthotomus sutorius, family Muscicapidae, order Passeriformes. It is native to India and other parts of Asia, where it feeds on ants and other insects. It is about 15 cm/6 in long and olive-green,chestnut cap with markings of other tints. Its nest is a dainty structure of leaves stitched together with silk, wool, hair, and vegetable fibre, and contains three or four varicoloured eggs. me's thinking whitefly as I plant marigolds or tagetes in my polytunnel and greenhouse as a decoy to keep the whitefly off the toms!! marigolds are also good to help deal with harmful root nematodes so a good plant to grow for a couple more reasons than just its pretty flowers !! Identify mealybugs by looking on the undersides of leaves and around leaf joints. These insects look like small (1/10 to 1/8 of an inch) balls of cotton. Mealybug-damaged plants look withered and sickly and may have sticky sap on the leaves and stems. Spray a strong jet of water directly on to the affected area of the plant. The stream washes the insects off. This is the easiest way to control mealybugs. Spray with a soap/oil mixture if the water alone doesn't do the job. Mix 1 tsp. insecticidal soap, 1/2 tsp. horticultural oil, and 1 quart water in a spray bottle. There are also numerous chemical products available for the control of mealybugs. Use rubbing alcohol and a cotton swab to treat minor infestations. Dab the rubbing alcohol directly onto the insects. 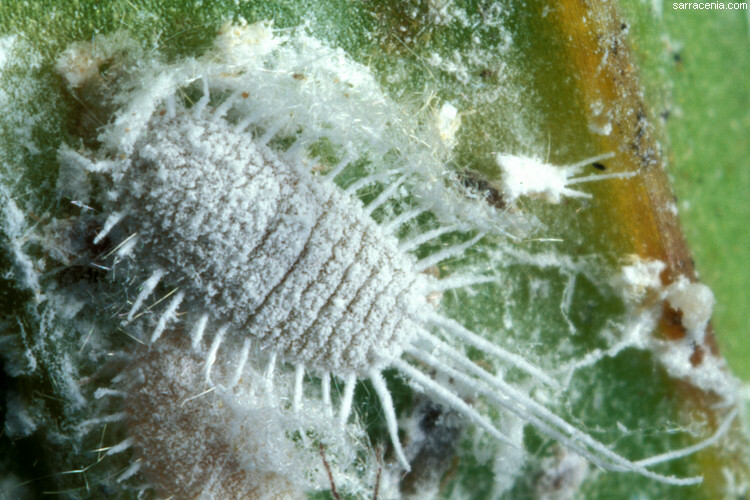 Try purchasing and releasing a natural predator called mealybug destroyer (Cryptolaemus montrouzieri) for serious infestations. Place the mealybug destroyers directly on the infested plant. 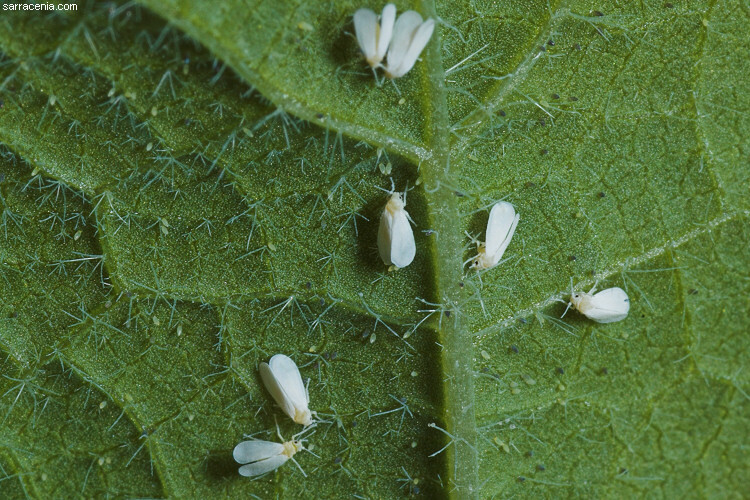 On an ongoing basis, attract other types of predatory insects, such as parasitic wasps (Leptomastix dactylopii), that will consume and control mealybugs. Grow their favorite plants such as dill, fennel, coreopsis and brightly colored flowers near the mealybug-prone plants. It could well be the mealy bug that I have a problem with, definitely not the whitefly. Welcome to the new organic sub-forum Soidog2 !! Thanks, I have a question for you. In my garden there are Cherimoyas, Oranges, Star Fruit, Grapes , Tomatoes, Hot peppers, Lemons, Mangoes, Durian, Figs, Papaya and the list goes on. My biggest pest is the fruit fly, Lays eggs in the young fruit resulting in total loss sometime. I do grow fruit commercially and know how to get rid of it, I’d rather not use chemicals in my garden. Is there anything organic I can use to combat this annoying pest ? I am somewhat surprised to hear of weaver ants being described as a pest. One of, if not the, best natural (organic) pesticides around. 'And they're free Save you heaps of work and time. If you are having problems with the ants at the base of the tree it's because your tree is overpopulated. They need to be culled twice a year. Call in the ant-egg man. Every district has got 1 or 2. In S. China it's a cottage industry, inoculating 4/5 year old orchards with ants. I've never seen or heard of a problem with pollinating bees etc. All trees in our mango grove are populated with ants and come flowering time the whole place is humming. Inoculation is a fairly easy task. Leave a carrier bag or 2 with some old fish inside at the base of a populated tree. Within an hour the bags will be full. Transfer them to the base of the tree you want populated. If you can hang the bags in the tree all the better, if not, a bamboo pole or 2 from the bags up into the tree will suffice. If you want to do a whole orchard, just do 10% of the trees (as above), then hang slim bamboo poles between all the trees. These insects are not a pest and your patience with them will be rewarded. Don or Drtreelove as you may know him is a certified arborist with the International Society of Tropical Foresters and has a special interest in Integrated Pest Management .He has been kind enough to share an article published on this subject in the Chiang Mai Mail in 2003 with us, giving his professional take on the matter. You can find the PDF here Jandtaas docs-article on IPM and plant health care well worth a read !! Hi Mike welcome to the organic forum !! Thanks Jandtaa- especially for all the work involved with getting this forum going. I had the link already, now looking for some plans on how to build small unit- there is a group of self- sufficient- ers in Phuket that I am getting to know. I do grow fruit commercially and know how to get rid of it, I'd rather not use chemicals in my garden. Hope it helps, If you try it please let us know if it's effective as the missus has been buying all sorts of fruit tree seedlings over the past weeks. Been researching into pest control of the cucumber beetle as I intead to grow a fair quantity of curcubits in the autumn and have had plant damage from the little critters in the kitchen garden previous years. It's not so much the damage to the leaves (although they can interfere with pollination by eating stamens in the flowers) but the bacterial disease they spread that is the problem. Seems that a neem oil spray will work as an anti-feedant and I posted in the companion plants thread abot intercropping curcubits with rat-tailed radish. Have now come across a biological control; The wolf spider !! David H. Wise and co-workers in the department of entomology at the University of Kentucky thoroughly investigated spider predation of cucumber beetles (Snyder and Wise, 2000, Williams et al., 2001 and Williams and Wise, 2003). 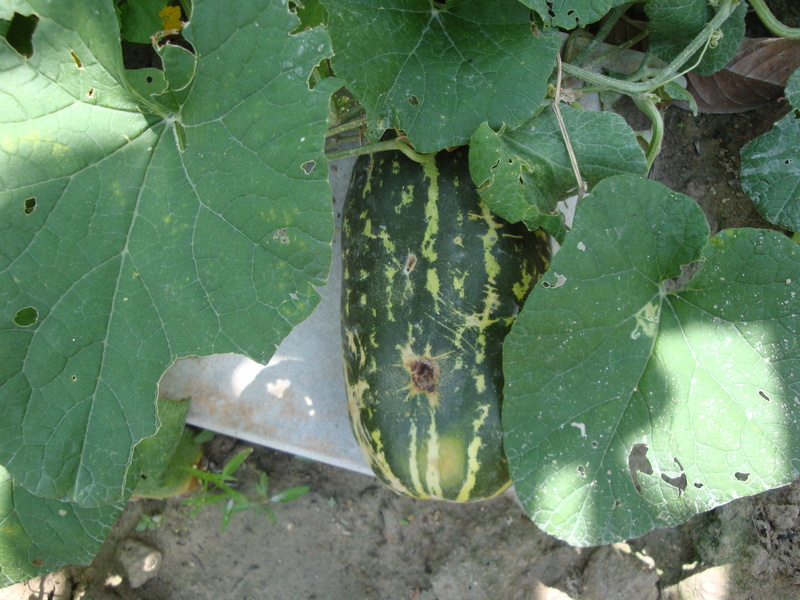 Wise found that both striped and spotted cucumber beetles reduce their feeding rate and emigrate from cucurbit plants in the presence of the large wolf spiders Hogna helluo and Rabidosa rabida. Spider presence reduced plant occupancy of diabroticine beetles by 50 percent. Curiously, adult female beetles are far more responsive to the presence of wolf spiders and alter their behavior to avoid capture. Consequently, males were 16 times more likely than females to be killed by R. rabida in one experiment; only 5 percent of males survived a two-day exposure to H. helluo in a second experiment. In general, populations of predaceous spiders and ground beetles can be enhanced through habitat modification using straw mulch (Snyder and Wise, 1999), straw shelters (Halaj et al., 2000) and beetle banks (Master, 2003). So next time the missus wants to give one the old flip-flop treatment rescue the little bugger and pop him in your veg patch !! I've not made it through this whole post yet, but wanted to show how we are handling the fruit flies. Basically needed to do something to curb the growth while the natural predators could catch up with a surge. Use old coke and water bottles and cut a small "door" onto two sides. Suspend a cotton ball dabbed with scented bait over a pool of liquid dishwashing soap. Hang the traps in areas heavily affected. The result was amazing at trapping hundreds of the flies per bottle in the pool at the bottom. Our peppers, tomatoes, and gourds are all doing much better now. I did post a recipe I found for a bait to be used in this type of trap a couple of posts ago but have yet to try it. Is it similar to the bait that you use ? please can you share your recipe with us seeing that it has proved effective for you !! Looks like everyone has "spaded away" on this forum! There must be more "gardeners" out there with questions? But slowly I have been trying to gather "recipes" for Pest controls" especially on vegetables, which for the first time in my life have been trying to grow... I have been a professional horticulturist .... most of my working life, so my Thumb is pretty green.... and my success rate of growing "ornamentals" has been good.... the garden may turn into a display of flowers & shrubs! I now have a Neem tree seedling growing in the garden,.... yanked out of the ground by neighbours ten year old boy... who has been a wealth of knowledge to me (an amazing kid, so enthusiastic and knows his stuff too... how to make "Babies" as he calls it... making cuttings to everyone else! )... to checking every thing before going to school... if there is something amiss, I sure hear about it... very amusing, but it great to find that sort of thing in someone so young.... I hope it lasts!